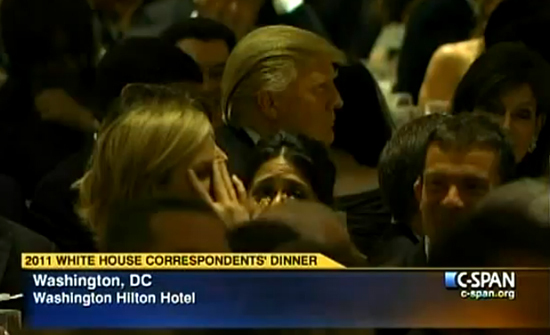 President Obama roasts Donald Trump at the 2011 White House Correspondents Dinner. Shots of Trump in the audience show an unhappy camper. Hard to laugh at yourself, Donald?